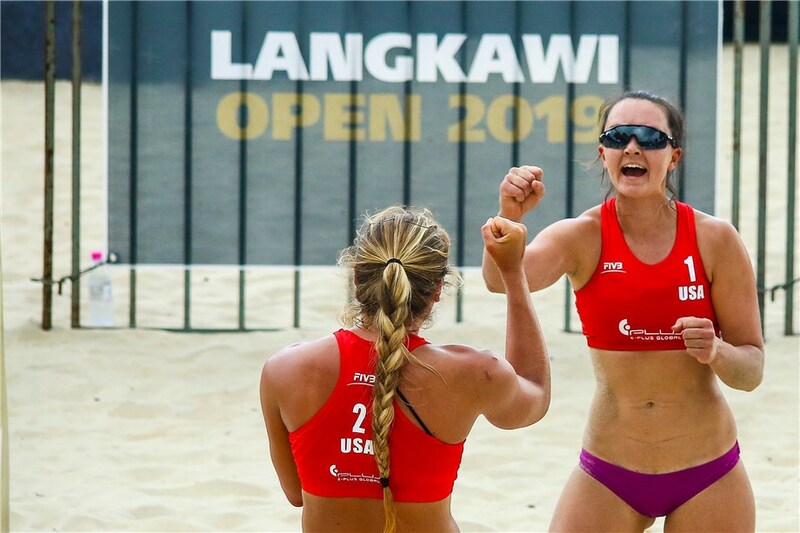 Langkawi, Malaysia, April 13, 2019 – The United States’ Lara Dykstra and Cassie House secured their spot in the semifinals with a straight-set win over their compatriots Audrey and Nicole Nourse in the FIVB Beach Volleyball World Tour Langkawi 1-star. 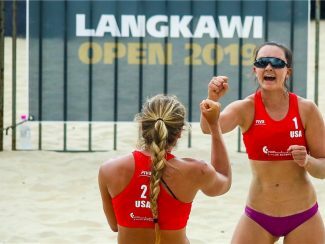 Dykstra and House will face their Battambang 1-star finale rivals Konstantina Tsopoulou and Dimitra Manavi of Greece in the semifinals of the Langkawi 1-star after beating the Nourse twins 2-0 (21-18, 21-16) in the 35-minute encounter. 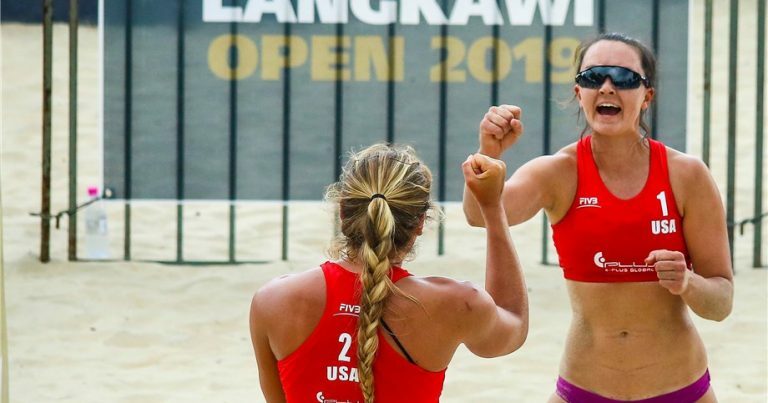 The Greeks, on the other hand, earned their spot in the final four with their 2-1 (15-21, 21-17, 15-12) triumph over New Zealand’s Francesca Kirwan and Olivia MacDonald. 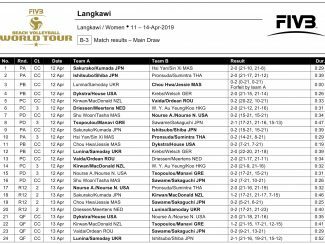 In the other matches, Japan’s Mayu Sawame and Yurika Sakaguchi and Ukraine’s Diana Lunina and Maryna Samoday earned their final four spots after clearing their respective round of 12 and quarterfinal matches. 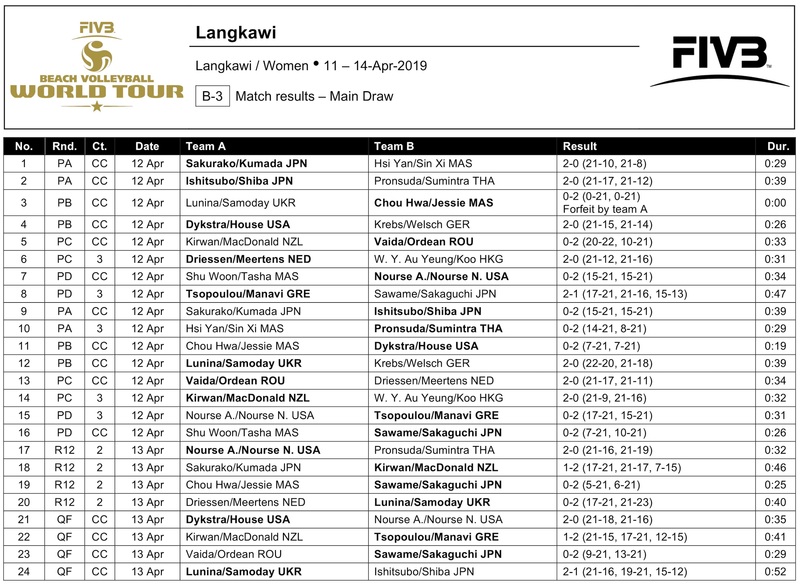 Sawame and Sakaguchi beat Malaysia’s Chou Hwa Chia and Jessie Lai 2-0 (21-5, 21-16) in the round of 12 and Romania’s Beata Vaida and Ioana-Alexandra Ordean 2-0 (21-9, 21-13) in the quarterfinals. The second-seeded Ukrainians first defeated Annemieke Driessen and Ilke Meertens 2-0 (21-17, 23-21) then prevailed in the tiebreaker against Japan’s Satono Ishitsubo and Asami Shiba (21-16, 19-21, 15-12).